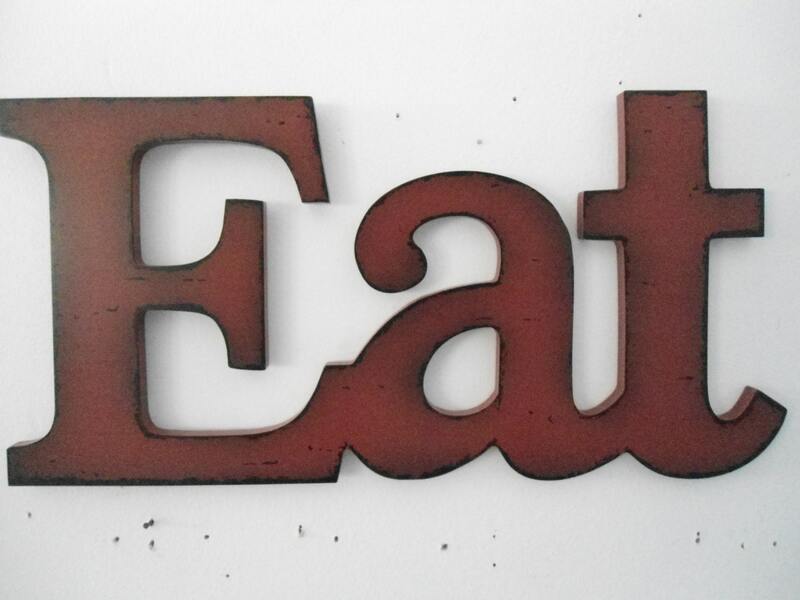 I've been eyeing these kinds of signs, and when I found a large one, I had to have it. We've painted the black over the red paint and distressed it some, so each one will look slightly different. All you need is 2 nails or screws and you're ready to decorate! This ships via priority mail, so you'll have it in 3 business days from the time I ship. 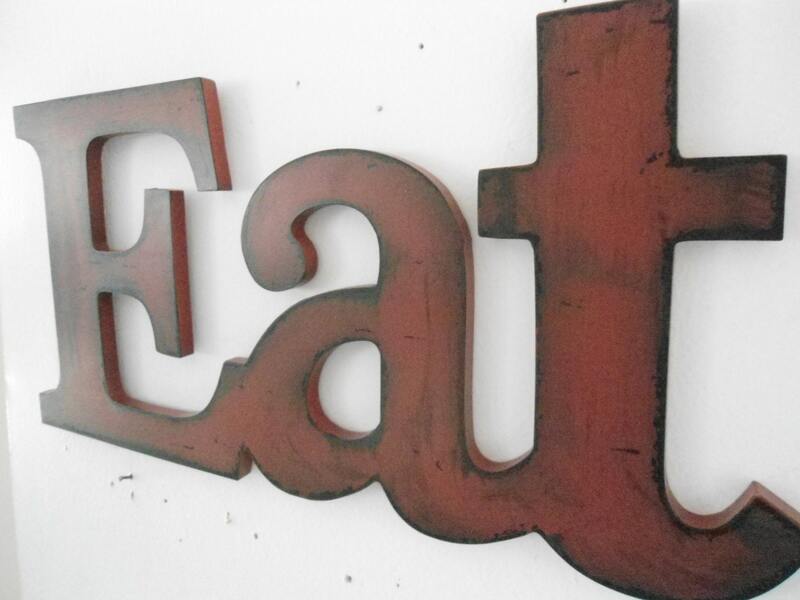 This sign measures 16" wide and 8" high, and sticks out from the wall less than 1/2". Has 2 d rings on back for easy hanging. 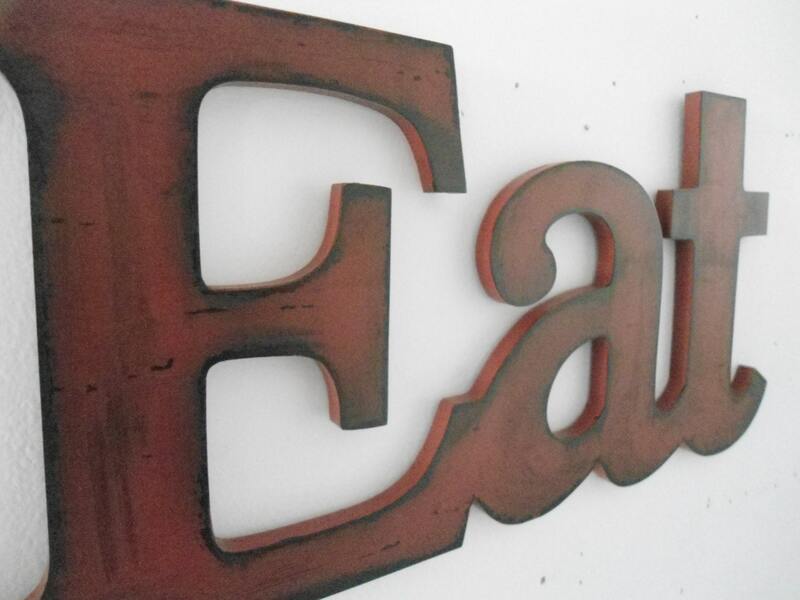 Each one is different but your Eat sign will be very similar to the photos, a painted red sign with just black around the edges.. Contact us with questions. Thanks for stopping by and have a blessed day! It's a cute sign in my kitchen! I like that they were able to customize the sign to a solid red color with no black edges. The seller was good about responding back to questions i had & even addressed concerns i had when my first sign came in. A second sign was made and shipped free of charge. The seller even sent me a picture of the new sign to make sure i was happy with it. You can tell customer service is important to them! Thanks Tom & Rita! !